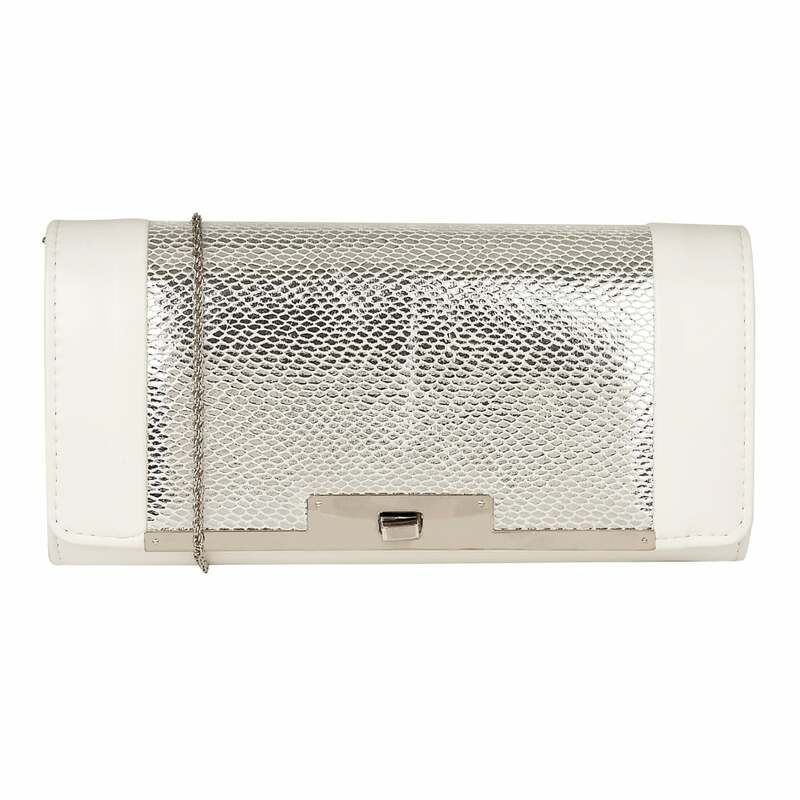 The white and silver Lotus Zonda women’s clutch bag is an effortlessly stylish accessory that is adorned by a reptile effect print. It also encompasses a twist lock metal closure to keep your possessions safe and a detachable chain shoulder strap. The Lotus Zonda handbag was designed to be paired with the Lotus sandals Aubrey and Marianna.